We understand that for most people this will be their only exposure to hot air ballooning, so with that in mind, we have tailored our flight package to be a fresh, more interactive, adventure filled with amenities that will create memories to last a lifetime. 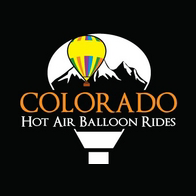 We don't just offer you a balloon ride, we offer you a complete hot air ballooning experience. We cater to couples, families, seniors, and corporate groups. Whatever the occasion we will work with you to make your flight all that you dreamed that it would be. Our 2019 balloon ride season runs from May 25th-October 6th. In season, sunrise flights are offered 7 days a week, weather permitting. We offer a "One-of-a-kind", world class ballooning experience that has been receiving rave reviews and exceeding expectations for over 20 years.